Daniel D. Spracklin passed away on the 9th of March, 1915. I have written about the end of Daniel’s life in past posts on this blog. So I won’t review that here. Sometime around or after Daniel’s death Reed and Julia headed to Montana. In 1915 Reed was 47 years old. Julia was about 37 years old. They were not young and they had several children with them. It must have been an epic journey. Dayton Twp., Iowa County, is on the eastern side of Iowa. According to his granddaughter, Reed took the cattle and other items to Montana by train. Now it was probably a mix of driving the cattle and then getting on a train, exactly how he did it would have been a very interesting story. If you look at the RR map below you see that he probably had to go east and then northwest and through North Dakota if he did the train. It would stop above Jordan and then he would go south. This is all speculation of course, the actual story of how they migrated to Montana is shrouded in time. The Great Northern RR in 1920. How did he take all the animals to Montana? My understanding is that they lived in a tent the first winter in the Jordan, Montana area, brrrrrr…..! I do have to admit Spracklins are a hardy bunch. Near Jordan Montana, 2010. It even looks cold in August. Montana is a beautiful state, I have traveled across it twice. The first time in September of 2003 and then again in late August of 2010. It takes 5 hours to drive from Seattle to Spokane. Traveling through Idaho is very quick because I-90 travels through the neck area of that state. The western part of Montana is very mountainous and there is one very big pass among several that you travel through to get to Missoula, Butte then Billings. From Billings it takes about 2 hours to get to Miles City. From Miles City it is another 2 hours to drive to Jordan, Montana which is northwest of Miles City. I could have flown to Billings and then driven to Miles City but by driving the state I was able to get the feel of Montana and, of course, follow the Yellowstone River and explore Lewis & Clark’s route west. It would take 13 hrs and 46 minutes if you drove straight through from Seattle to Miles City and 962 miles. On my first trip we went south to Wyoming stopping at the Battle of Little Big Horn park (it is haunted) and down to Sheridan (Spracklins lived here) and up through the Big Horn Mountains and if you are a Longmire TV show fan it is about the area where the story takes place on the western side of the Big Horns as you exit the mountains, beautiful country and area. Our goal was Yellowstone, my traveling companion was bored crossing Wyoming till we got to Cody where a wonderful museum is located. I almost lost her there. Distinctly Montana has a great article about homesteading in Montana. The 160 acres was not enough in that state. Reed had challenges and you will note that one individual quoted mentions stock farm. Eastern Montana is cattle country. Yellowstone River west of Billings and along the way are places to stop and explore Lewis & Clark’s route. Reed A. Spracklin Patent 24 September 1919 Garfield Co., Montana Land Office. Land Office: Miles City, MT. #039055, AS#708105, 320.33 acres. Reed and Julia Spracklin’s Home near Jordan, MT. What is left, back in 2003, of Reed and Julia’s home, now owned by another family. Reed’s Barn, built of rock and wood, a special tour by the granddaughter. Source: Reed Spracklin Family, 1920 U.S. Federal Census School Distr #41, Garfield Co., Montana SD2, ED 122, Sh#5a, enumerated by Joseph Jarrett, Mar 22-24, 1930, #T625-971. Reed was under the name “Bud” when I searched for this census. FM 145, 145, Spracklin Reed head 1 O.M. M, W, age 51, M, ues. yes, born in Iowa, father born in Ohio, mother born in Indiana, farmer, general farm. Julia A. wife, F, W, age 41, M, yes, yes, born in Nebraska, father born in Indiana and mother born in Iowa. Amos son, M, W, age 20, S, born Iowa. Harley G., son, M, W, age 13, S, born Iowa. Clifford R. son, M, W, age 8, S. born Iowa. Leroy son, M, W, age 6, S, born Iowa. Forest J. son, M, W, age 29/12, S, born Montana. 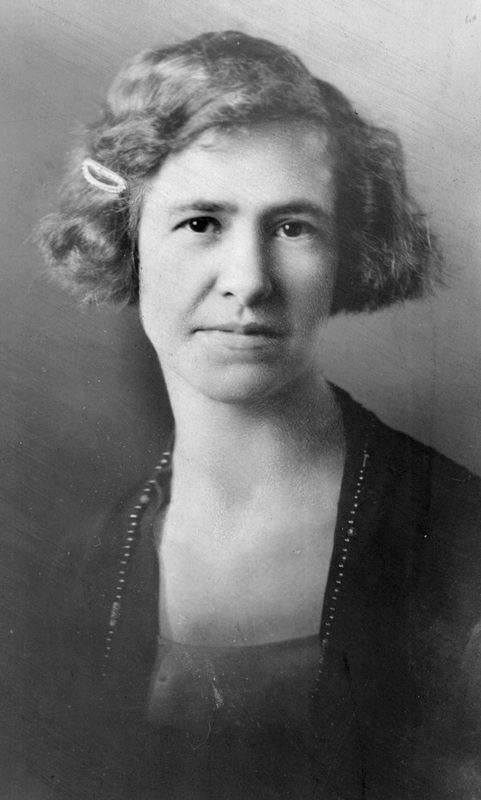 Clara E. daughter, F, W, 9/12, S, born Montana. In 1930 they are still residing in Montana. There is a mystery because the name Everett is written below and I think it is really Clifford Ray who was born in 1911. I cannot find anything about this Everett that makes sense. Source: Reed A. Spracklin and Amos Spracklin Families, 1930 U.S. Census for Montana, School Dist. 41, Sheldon, Garfield Co., Montana T626-1256, ED 38, 12/30/02, sht 1A, enumerated on 9 April, 1930 by George H. [ ]. Line 3, 2, 2, Spracklin, Amos E. Head, yes, M, W, 30, M, 24, No, Yes, born Iowa, father born Iowa, mother born Nebraska, farm laborer, farm, no, 2. Spracklin, Iva, M, Wife-H, F, W, 23, M, 17, No, Yes, born North Dakota, father born Iowa, mother born Minnesota. Spracklin, Margaret R, daughter, F, W, 3, S, born Montana. Spracklin, Alice M, daughter, F, W, 1, S, born Montana. Line 7, 3, 3, Spracklin, Reed A. Head, yes, M, W, 61, M, 29, no, yes, Iowa, father born Ohio, mother born Indiana, farmer, farm, no, 3. Spracklin, Julia A. Wife-H, F, W, 51, M, 29, no, yes, Nebraska, father born Indiana, mother born Iowa. Spracklin, Everett R (Ab), son, M, W, 19, S, no, yes, Iowa, born in Iowa. (probably Clifford Ray Spracklin). Reed died on 18 July, 1938. He was buried in the Pioneer Cemetery in Jordan. Jordan – July 21 – (Special to the Star) – Reed A. Spracklin died Monday evening at the Good Samaritan hospital in Jordan. Mr. Spracklin was born Aug. 24, 1868. His early life was spent in his native state where in 1896 he married Miss Julia Siler. In 1915 with his family he moved to Garfield County settling on a homestead seventeen miles west of Jordan where he continued to make his home until failing health compelled him to move to Jordan. Nine children were born to Mr. and Mrs. Spracklin. Six survive all of whom were with him when the end came. Amos E., Harley, Clifford, Forrest and Mrs. Clara Derenberger, all of Jordan and LeRoy with the U.S. Navy. Funeral services were held in the Presbyterian church on Wednesday at 2:30p.m. the Rev. William G. Johnson officiating. Burial took place in the Pioneer Cemetery. 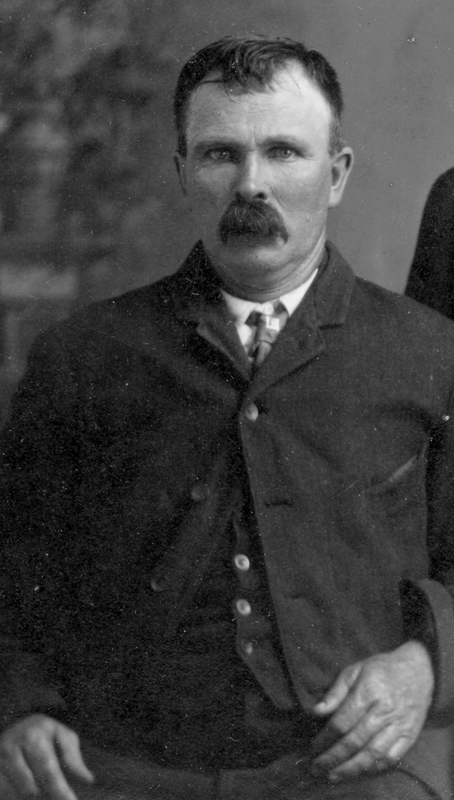 Mr. Spracklin died on the evening of July 18, exactly three years from the time his son, Oliver, was killed at Fort Peck. Source: Miles City Daily Start, Thursday, July 21, 1938, pg. 10. Pioneer Cemetery in Jordan, MT. Julia followed in 1942 and she is also buried in the Pioneer Cemetery in Jordan. Obituary – Mrs. Julia Spracklin of Jordan Community Dies here Thursday – Mrs. Julia Spracklin, widely known matron of the Jordan community passed away in Miles City at a local hospital on Thursday evening following a brief illness. Mrs. Spracklin was born in Nebraska on Sept. 30, 1878, where she grew into young girlhood. 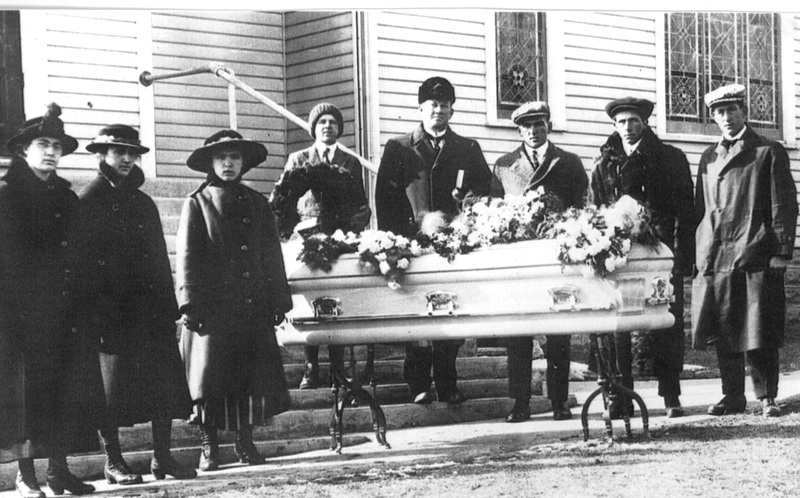 She had been a resident of the Garfield Co. region since 1914. Surviving in the immediate family circle are the children, Amos, Harley and Clifford Spracklin of Jordan, LeRoy now in the U.S. Navy, Forest Spracklin of Spokane, Wash., Mrs. Clara Derenberger of Jordan and the following brothers and sisters: Henry Siler and Alfred Siler of Snohomish, WA, Albert Siler of Colfax, Wis., Mrs. Ida Grover of Maumee, Ohio, Mrs. Olive Reid of Moracco, Ind. and Mrs. Eva Amundson of Colfax, Wis. The final rites for the late Mrs. Spracklin will be held in Jordan on Sunday afternoon, Aug. 16, where interment in the Pioneer Cemetery will also take place. The remains will be taken on Sunday morning to Jordan by the local Graves Funeral Home. Source: Miles City Daily Star, Friday, August 14, 1942, pg. 8. Reed and Julia’s burial is also listed on Find A Grave. I am their sponsor. I see I need to get more children connected to them. I have a special place in my heart for Reed. He has helped me in so many ways to learn about my great-grandmother Amarilla’s full and half families, and to learn more about the father and mother Daniel and Sarah Spracklin. I dedicate these pages to his granddaughter Bertha, who welcomed me into her home and took me under her wing.